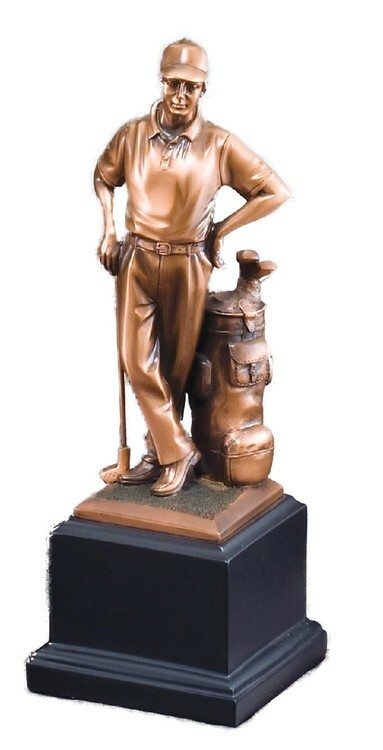 Golfer - Male Electroplated Resin Sculpture. Nice high end award. Price includes a laser engraved plate.